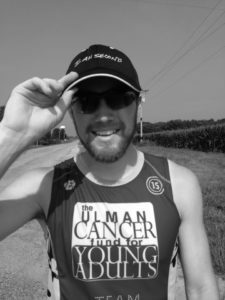 This is Seth Rinehart from the 4K For Cancer team… Well… Teams (to be precise). Team Baltimore 2016, Team New York 2017, and Team Boston 2018. Just swinging by just to chat a bit more about the 4K for Cancer. 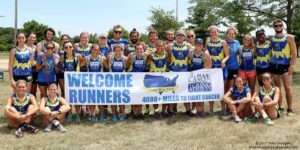 A run across the country, that you may have heard about. In the spring of 2015, my second mother, Miss Dottie, passed away from a long battle with brain cancer. It really had a strong impact on my year. I spent most days wondering how I could make a difference in this world like she did, and what I could do to make her proud. I never had the mindset that I’ll cure cancer or make some life altering discovery that would change lives scientifically or financially, so, in the back of my mind this question sat for months. Until I got my answer, in the fall of 2015 when this thing called the 4K For Cancer popped up. I applied, not knowing what to expect. 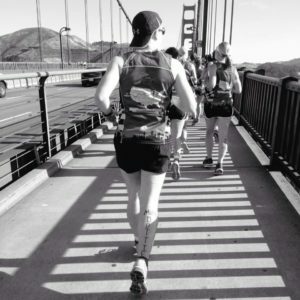 Before I knew it, I was catching a one-way flight to San Francisco to run 4,250 miles with 25 strangers all the way to Baltimore. As someone who is not an elite runner, I was pretty nervous that I would be in over my head. Ironically, the running was the easiest part. 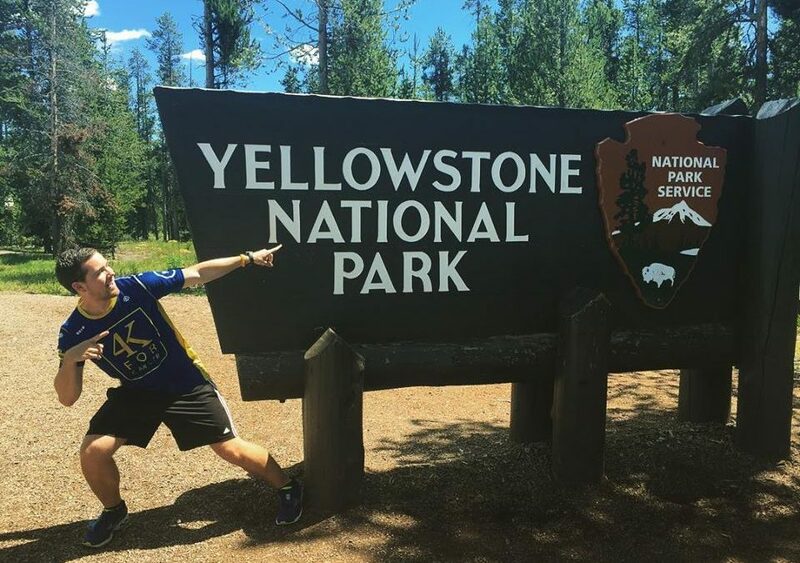 The mental factors that come with sleeping on gym floors, waking up at 4:30am every day to run up mountains or through deserts, and meeting people who were battling a disease we try so hard to ignore or avoid talking about… Those were the true tests. Those were the moments that literally changed the trajectory of my life forever. 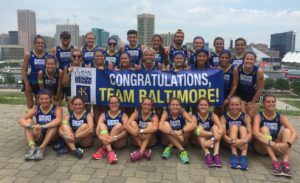 After making my way across the country in 2016 with Team Baltimore, I could not get the itch to go away. There was this nagging voice in my head that said ‘there is more to be done’. That summer had made such an impact, and done so much to better lives, including my own (truly), that the thought popped up… Why not do it again? So, that same kid who “somehow” made it across America last year with all the anxiety in the world, was now heading out for round 2. 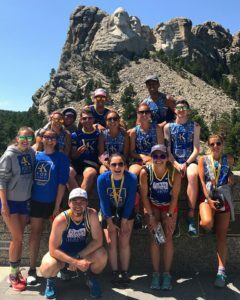 This time I joined Team New York, a bit apprehensive about the differences that might come along with running a second time. Maybe last year was just special? But the amazing thing is, that the summer of 2017 ended up being filled with so many more chances to change lives, heal broken hearts, and see the world in a whole new way. I got the chance to be a part of a group with some of the most remarkable, selfless, joy filled people. They made it a summer that would never be able to be topped… Right? Well… fast forward to the summer of 2018. 4K had been making such an impact on the world that it decided to start a 3rd running team. The route was brand new, and it finished in Boston. Needless to say, round 3 commenced and another summer of life changes, powerful stories, miles of beautiful roads, and endless stories that you cannot explain in a simple letter began. So, I think it’s safe to say I can tell you whether or not this is worth it. Let me promise you, the fear you have of doing this trip will soon be so strongly outweighed by the experiences you have, the friends you make, and the passion for life you create. This trip will change your life, other lives, and the world in ways you truly can’t understand yet.